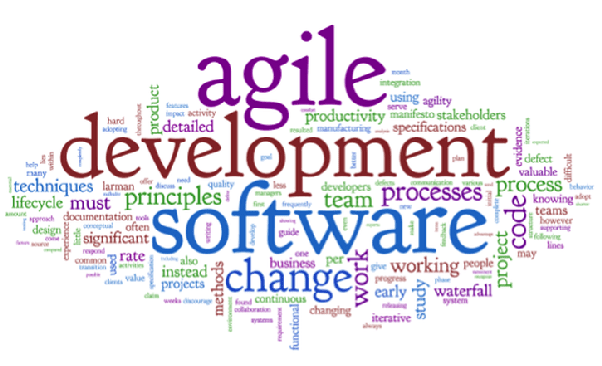 Agile Software Development is an effective way of managing IT software development projects in such a way that it increases flexibility to accommodate changing business requirements during development life cycle. Unlike traditional software development methodologies such as Waterfall, Agile projects are aimed at developing and achieving the minimal viable product faster as they are broken into short-iterations that eventually reduce bug rates. Agile Software Development is a tool that helps project development teams carry out projects at different levels in order to achieve their desired goals in a timely and cost effective manner. At the end of each iteration, Agile projects deliver a working product and subsequently deliver the complete product at the end of the final iteration that would be more in line with the desired product. At present, enterprises are going digital and leveraging continually evolving technologies at workplace while staying ahead of the curve. In such a scenario, adopting Agile software development practises and Agile framework such as Scrum and even the concept of ‘Agility at workplace’ holds tremendous potential to empower Digital business models for different organizations. Agile practices allow the software development processes to be divided into two different parts- customer and management practices, and programmer practices. While the former deals with the requirement analysis, planning, idea of work product, team workflow, duration of iterations, and project management, the latter addresses the agile way of designing, coding, testing and rework on the project features. This is how ‘Agile’ brings major transformation into the workplace culture and project implementation and development process that enable businesses to expand their footprints worldwide. Agile software development is what enterprises have widely adopted to improve standards, project efficiency and performance of project management teams while reducing the cost of investments. It creates a platform for enterprises to innovate and explore new digital business models for the emerging markets across the globe.